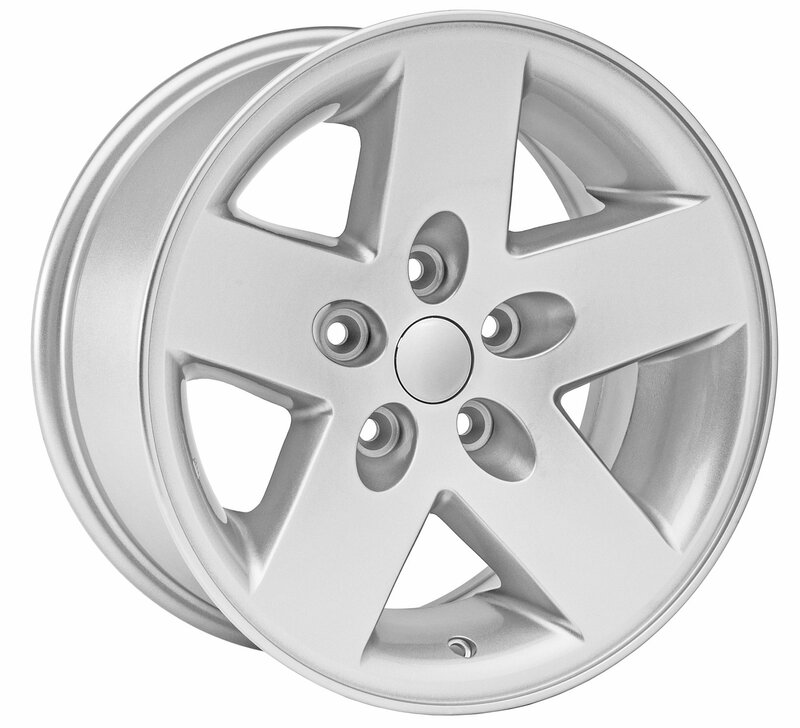 Outfit your Jeep in classic five spoke style with the Quadratec Moab Wheel in Silver. These rugged wheels are designed for larger aftermarket tires. They measure 16x8 with 5.0in Backspace (+13mm offset). Our Quad Moab Wheels are a Hub-Centric design and made from strong pressure cast aluminum alloy. All Quadratec wheels meet the stringent SAE J2530 standards and DOT requirements, and feature our limited lifetime structural warranty. Wheels are available in your choice of Gun Metal Gray, Satin Black, or Machined Finish.